BTOG provides networking opportunities at all educational events for the professional community to collaborate to develop clinical trials and other research. BTOG works collaboratively with many other organisations, societies and groups; to build close and enduring relationships; and to have mutual memberships to ensure representation. Both Professor Michael Peake, former long-term BTOG Steering Committee Member and now BTOG Trustee and Dawn Mckinley, BTOG Senior Executive Officer (SEO), are trustees for Mesothelioma UK. Liz Darlison, Head of Services for Mesothelioma UK is also a former long-term BTOG Steering Committee member. In 2017, BTOG and Mesothelioma UK held Mesothelioma 2017 – The Essential Update bringing together the multi-disciplinary team, researchers and advocates for mesothelioma and a further Essential Update is planned for 2019. The IASLC has developed a network of Regents around the world to constitute a Council of Regents responsible for a country or group of countries within a geographical region. The Regents have been appointed by the IASLC board to ensure effective communication between IASLC and the members and potential members of the IASLC in the country for which they have responsibility. IASLC currently has Regent Representatives in 17 regions and covering Medical Oncology, Radiation Oncology, Pulmonology, and Thoracic Surgery and Dr Richard Booton, BTOG Steering Committee member is Regent for UK and Ireland. European Thoracic Oncology Platform (ETOP) promotes the exchange of ideas and research in the field of thoracic malignancies. BTOG is a member group and Dr Sanjay Popat, BTOG Steering Committee Chair sits on the Foundation Council. BTOG and NCRI are both committed to driving and encouraging the development of clinical trials in thoracic oncology. BTOG Steering Committee Member, Dr Matthew Hatton is Chair of the NCRI Lung Cancer Clinical Studies Group (CSG) and BTOG Steering Committee Chair, Dr Sanjay Popat is the former Chair of the NCRI Lung Cancer CSG Advanced Disease Sub-group. Each year there are four collaborative sessions at the BTOG Annual Conference to update on progress for each of the subgroups. NLCFN provides networking and support to nurses specialising in the care of people with lung cancer and as a multi-disciplinary group, BTOG is committed to including nurses in all that it does. The BTOG Steering Committee includes Jackie Fenemore and Josie Roberts, who also sit on the NLCFN Committee, ensuring mutual representation on both committees. 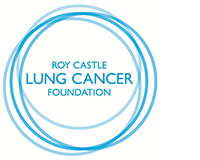 The Roy Castle Lung Cancer Foundation’s three key activities are research, support and prevention. BTOG works in partnership with RCLCF to provide an ASCO National Update Meeting – the meeting updates on significant data presented at the Annual ASCO meeting held in the USA each year. The British Thoracic Society (BTS) exists to improve standards of care for people who have respiratory diseases and to support and develop those who provide that care. BTOG and BTS hold collaborative sessions at BTS Winter Meetings and at the BTOG Annual Conference. Thoracic Alliance for Cancer Trials (TACT) is an international non-profit umbrella organisation for academic groups worldwide, dedicated to thoracic oncology research. As a group that has a focus on, but are not directly involved in, conducting clinical trials in thoracic oncology BTOG is an observer member group. A BTOG steering committee member represents BTOG at TACT General Assemblies held at the ASCO Annual Meeting and at the World Conference on Lunch Cancer.